OSWEGO – This buff and white tabby was found in a rural area in Mexico. This sweet, friendly boy knew he needed some help. Clover had an abscess under his chin that made it difficult for him to eat. He’s been so lucky ever since and his infection has cleared up well with medical attention. 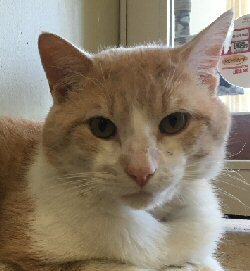 Clover craves loving affection from any person and is still working on building trust with other cats he meets. He’s approximately 1 – 1.5 years old, up-to-date on vaccines and neutered. 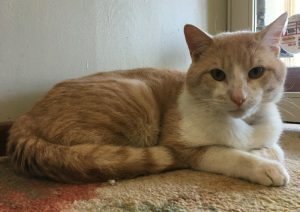 If you are interested in adopting Clover, you can download an adoption application from at oswegohumane.org.